Copenhagen is effortlessly cool, culturally rich and the essence of Scandinavian chic. There is a lot to love here, to investigate and discover at your own pace, but in case you are in need of some inspiration I’ve put together my favorite 25 unique things to do in Copenhagen. Enjoy! One of the most liveable cities on Earth, Copenhagen – and Denmark – is driven by a deep-seated desire to be the greenest, the cleanest and the most sustainable it can be. Aimlessly wandering its picturesque streets is easy – once you learn to watch out for the constant barrage of cyclists – and getting lost is half the fun as everything in Copenhagen compact, and a metro or bus is never far away! Lovers of all things elegant and divine will find themselves almost overwhelmed with the choices – from the New Age Nordic dining and Danish design galleries to the majestic royal palaces, contemporary fashion and of course the famed crown jewels of Denmark. 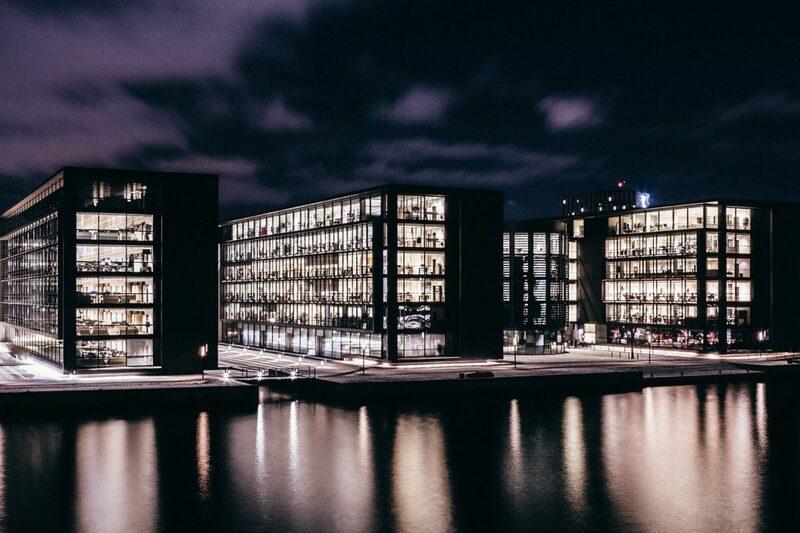 Copenhagen has gone through a radical change in the past thirty years as it has switched from a principally industrial city to one in which urban design, quality of living and people are considered first and foremost! An urban living room for everyone to enjoy, you will quickly experience what a relief it is to simply be in a city that is not only full of uncountable treasures but is so easy to enjoy, being focussed on small details that really makes living here a delight. Your first instincts may suggest Copenhagen is perfect for a long weekend jaunt – and it is, but there is also so, so much more to see in this refreshing city you could plan a week-long city escape in Copenhagen and still not come close see it all. If you plan on visiting even just a few museums, the Copenhagen Card will likely save you money, time and hassle – as it did for me – and you also never need to worry about figuring out which public transport ticket you need. There are also flexible options for 24, 48, 72 and 120-hour visits – so maybe consider if the pass will be worthwhile for you. I especially loved being able to duck into almost any museum I spotted and see if I liked it, but not feeling obligated to stay for hours because I paid the steep entrance price! Learn More About The Copenhagen Card Now..
Danish Design, a functionalistic design and architecture style that developed out of the German Bauhaus movement is now renown throughout the world, and what better place to get up close and personal with these iconic works of simplicity and functionalism than at the Designmuseum Danmark. You might be familiar with the Egg chair, and the PH lamps – both on display here – or even Sydney Opera House (obviously not on show here!) but Danish design is so much more than just this. 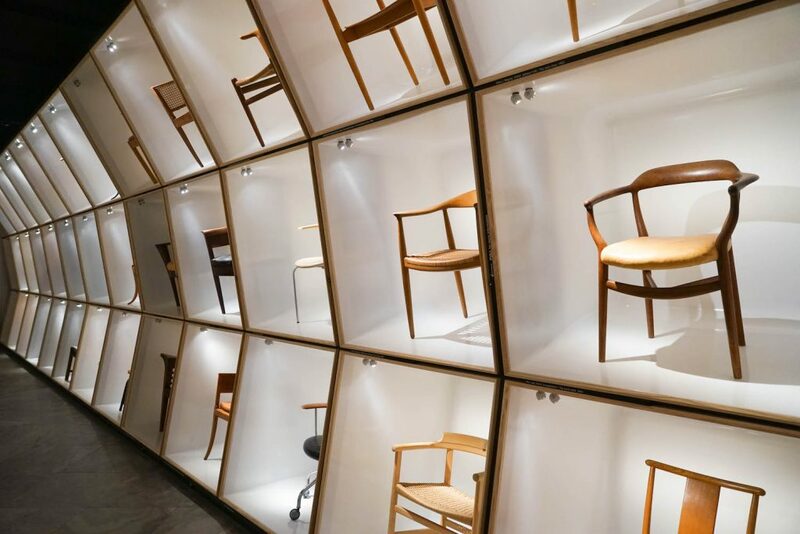 Aside from the extensive permanent collection and impressive array of Danish chairs, there is also exhibitions of decorative art, crafts, and industrial design covering both the Western world and Asia – with a focus on the influence of Japanese design on modern Danish designers! An unmissable and rather unique museum, also hosting a high-fashion cafe and beautiful shop perfect for picking up a few Danish industrial design souvenirs. The problem with amusement parks, in general, is that they take an entire day out of your trip and are typically located in some far-flung satellite town, or even worse – require hiring a car! 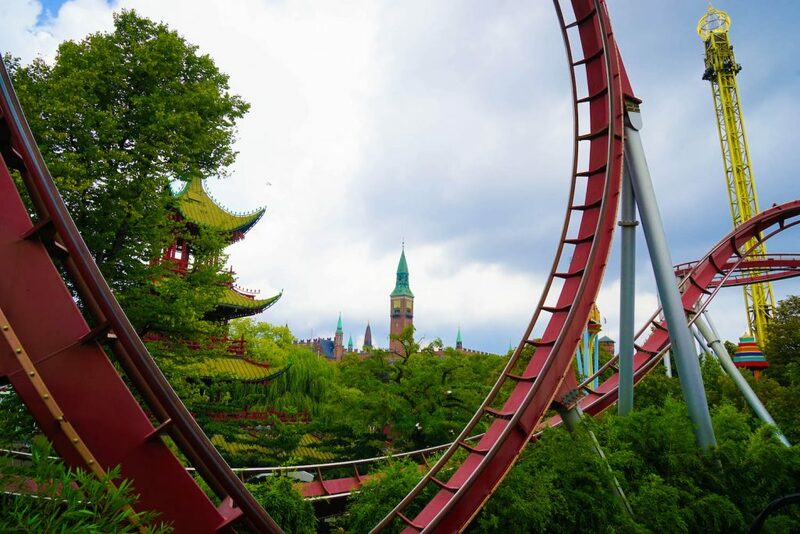 Luckily these practical Danes have placed their Tivoli Gardens amusement park, a national treasure, right in the heart of the everything just a few steps from City Hall and the Copenhagen Central Station. 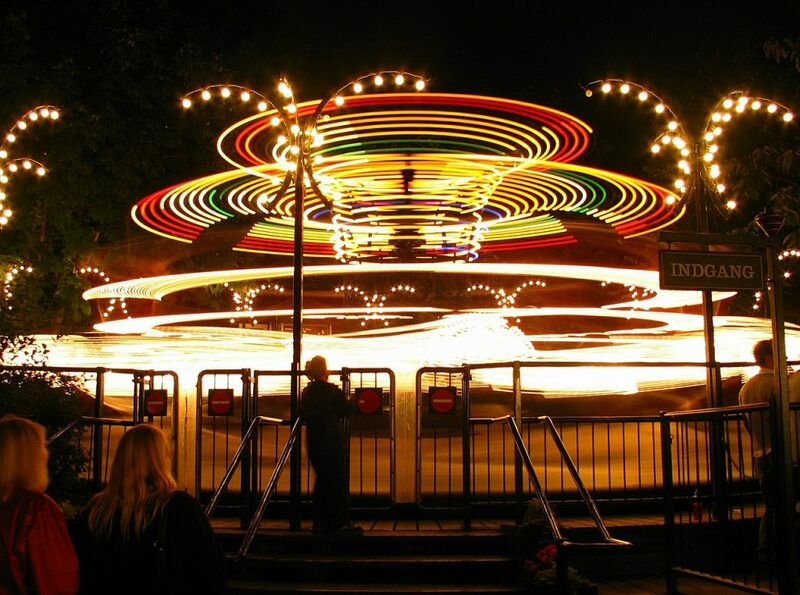 Founded in 1843, there is something for everyone here with four thrilling roller coasters including one of the worlds oldest wooden roller coaster, 28 other rides and a host of cultural attractions – in addition to their summer fireworks shows Halloween Fest in October and Christmas Holidays in December. Tivoli Gardens is actually the second-oldest operating amusement park in the world, after Dyrehavsbakken in nearby Klampenborg, and the fifth most-visited theme park in Europe – a testament to Tivoli’s ability to always be evolving without abandoning its original charm or traditions. Even if you are not a fan of the rides, the nostalgic atmosphere, quirky design, and exquisite architecture are worth visiting for alone – not to mention that at night when thousands of colored lights add to the fairytale atmosphere ensuring Tivoli’s place on any list of unique things to do in Copenhagen. 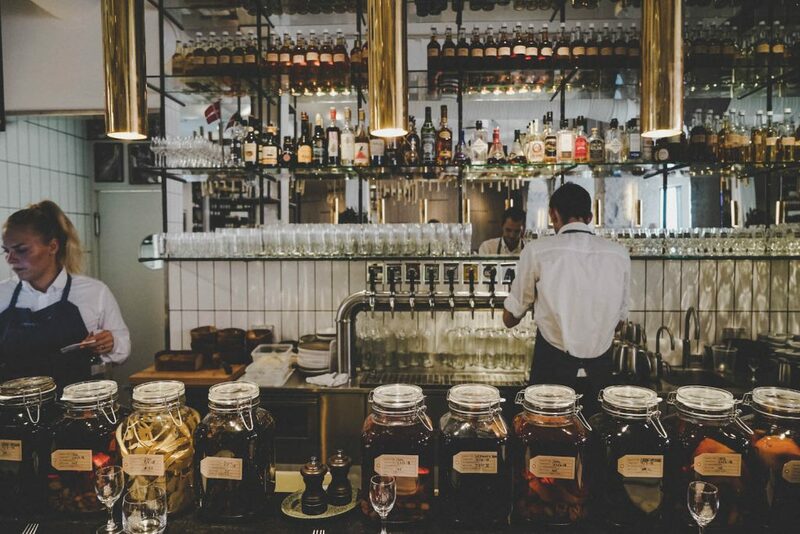 Keeping track of the buzzing Copenhagen food scene can be tough – even for knowledgeable locals! 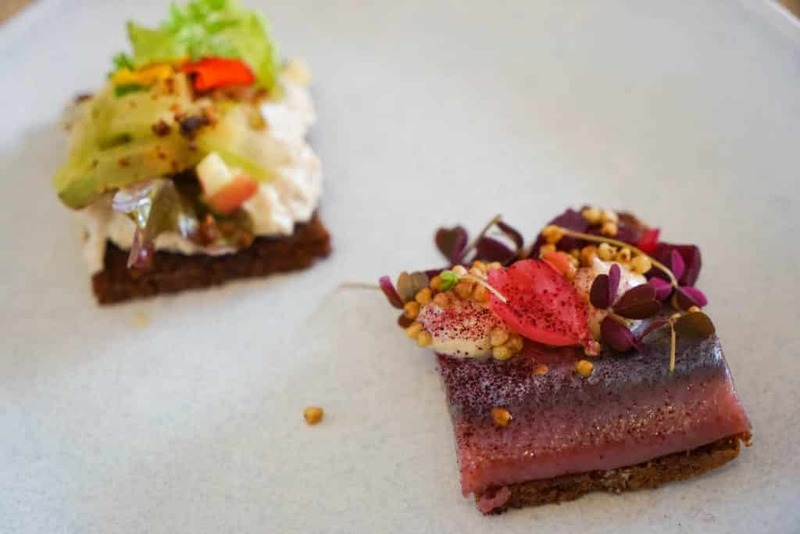 Big name world-class restaurants might get all the attention (we are looking at your Noma) but empowered young chefs are also working tirelessly across the city to produce their own Nordic-inspired, avant-garde dining experience. The result is an ever-changing gastronomical landscape where everyone is rushing to last-years news, or even worse… giving up entirely in the face of such an overwhelming array of options! 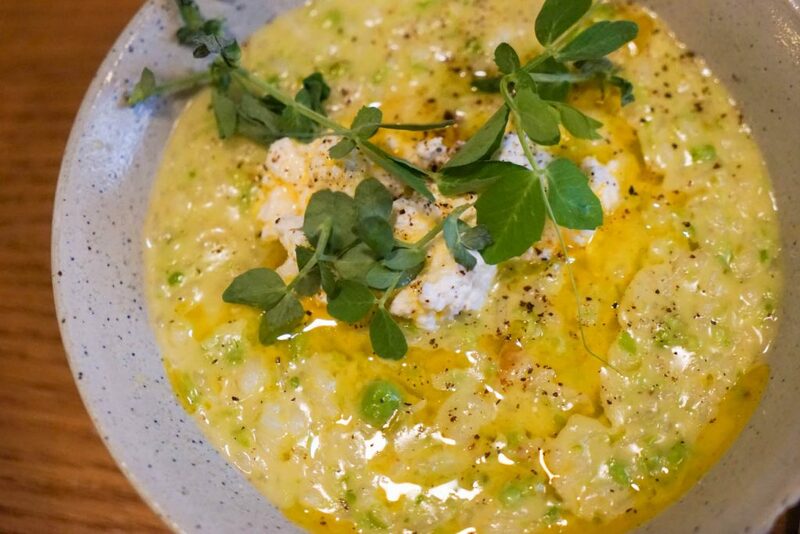 Luckily, the team behind Foods of Copenhagen are here to help, providing a fun, small-group sustainable food experience led by local food experts and a passion for food, people and discovering the hidden gems of the current food scene. You won’t find any three-year-old guidebook recommendations here! I don’t want to ruin the surprises they have in store for you – though given the frequency at which they update their tours that would be hard – ,but suffice to say their fabulous Copenhagen food adventures are all characterized by a diversity of delicious Danish food and beverages, meetings with chefs, food-obsessed guides and like-minded hungry and passionate travelers. Don’t worry – the max group size is kept strictly to eight participants meaning at each venue you feel more like a group of friends dining in style rather than a large tour crowd following the flags and drones of microphone speakers! I opted for a four hour culinary adventure on the Copenhagen Delicacy Tour during which I discovered my love for Smørrebrød (and snaps), indulged in organic Danish goats cheese, found out Porridge is so much more than just oats and brown sugar, learned about Copenhagen’s natural cider obsession and fell in love with the experimental food at a totally unexpected and unassuming brewpub. 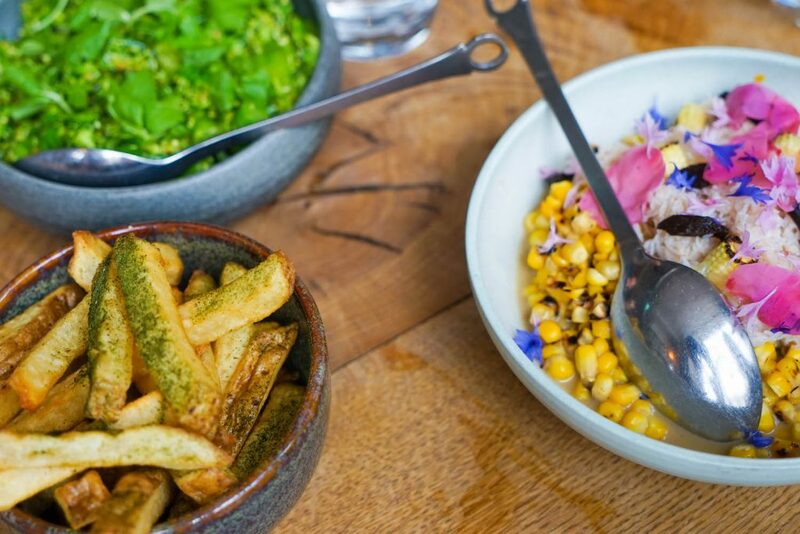 Foods of Copenhagen also offer a thoroughly Danish bike-and-food tour for those who want to see Copenhagen’s off-the-beaten-path charm or why not consider a night food tour of Copenhagen’s hippest area – and former red light district – Vesterbro. 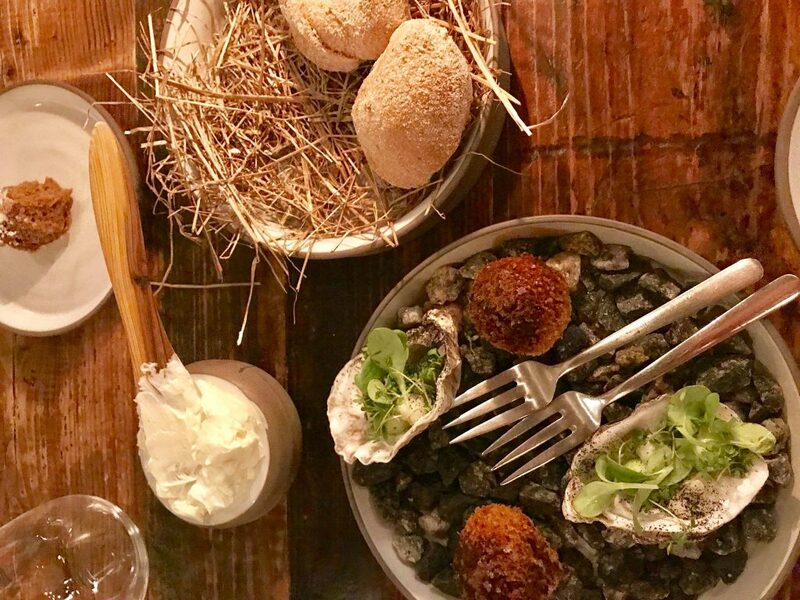 Easily one of the best things to do in Copenhagen, be sure to book far in advance as Foods of Copenhagen is focussed on quality over quantity and frequently sells out. If you are like me an obsessed with fascinating stories, incredible cuisine, and trailblazing dining then this is the experience for you! Take A Look At Prices & Availabilty Now! Ok, fine – this is not technically one of the best things to do ‘in’ Copenhagen, but since I was exploring with the Copenhagen Card it was very easy to reach with the free public transport and free entry. 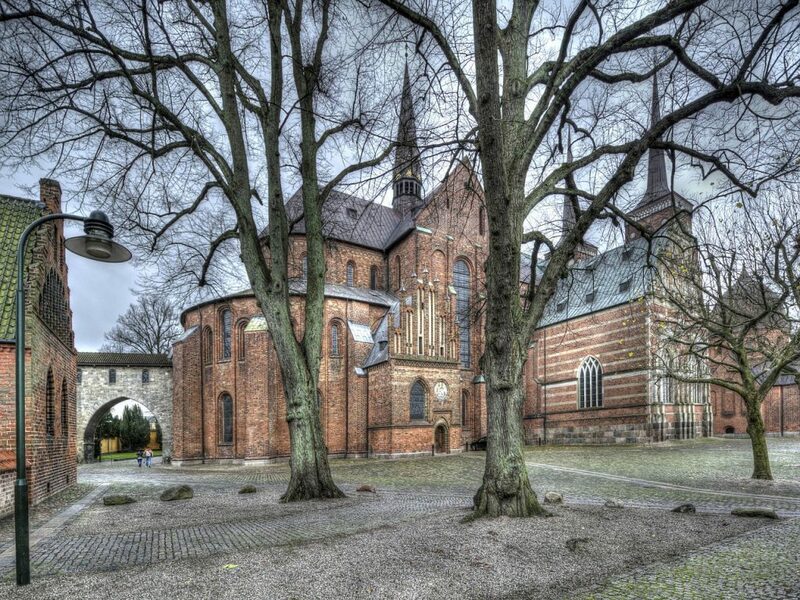 Besides, the Roskilde Cathedral is inscribed on the UNESCO World Heritage List so you should not miss it either way! While a church of some form has been on this site for over 1000 years, the current Cathedral dates back to the 12th century and was Scandinavia’s first Gothic cathedral to be built of brick – a style that was quickly popularised and spread throughout Northern Europe. I told you the Danish were trendsetters! 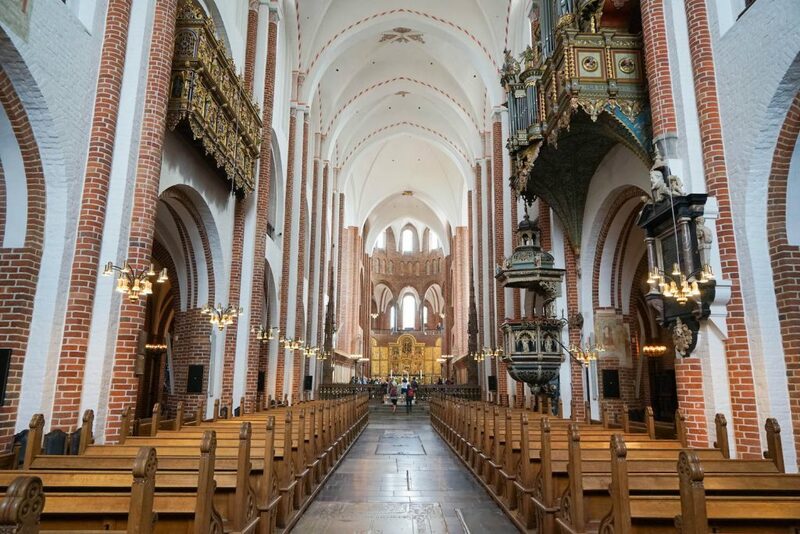 Besides its clear significance to the development of European religious architecture and awe-inspiring design, the Roskilde Cathedral is also home to the royal burial chapels where over 40 kings and queens of Denmark lay in eternal slumber – a world-record for the most royal church burials in one place! Visiting Roskilde Cathedral takes only about 30 minutes from Copenhagen Central Station on the frequent trains, and then from the Roskilde train station, it is only a 10 minutes’ walk through the photogenic city center where you will more than likely be tempted to linger by the cute local cafes and slower-pace of life. Trust me; I really could not oversell this place even if I wanted to! It is unique, superbly thought-out and utterly transfixing. 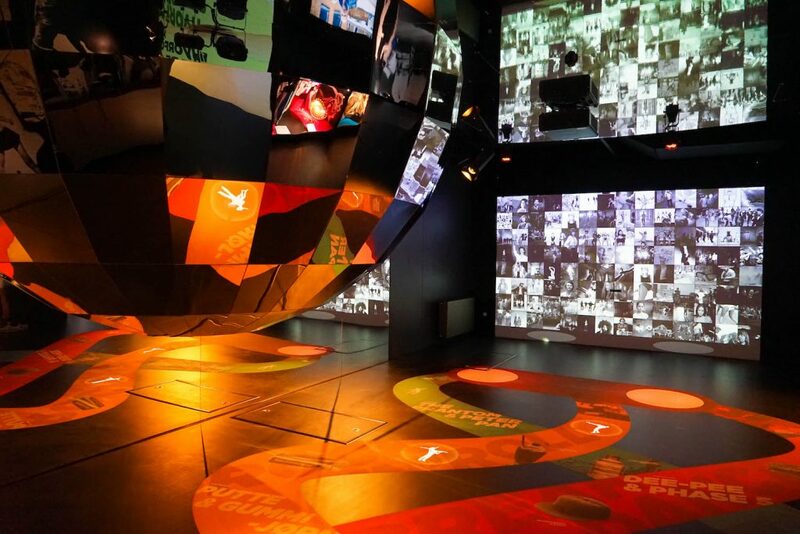 Located in the Musicon district, close to the annual home of the famous Roskilde Festival, one of largest music festivals in Europe, the RAGNAROCK offers daring architecture, interactive exhibits, and a fast-paced metaphorical roller coaster ride through the last century of musical history. Refusing to be easily summed up, RAGNAROCK is an exploratorium with something to inspire everyone – connecting visitors with their favorite styles of music and helping them discover unexpected new genres while focussing on the intergenerationality, vision, and opportunities inherent in music and culture. Oh and the name? Ragnarok is a legend about the last battle between giants and gods where the Earth is reborn through flames and chaos. After a visit here you will likely see the similarities in music and culture with the confrontation between the established old and creation of the new. Yes, I am a little obsessed, you will be too…Plan at least a few hours! Regular readers will know that I am not a fan of aquariums, preferring for the open-ended adventure that is scuba diving, but I have to concede: the futuristic architecture, fascinating exhibits, and insanely adorable sea otters make the National Aquarium Denmark one of the best things to see in Copenhagen! Newly opened in a stunning seaside location (and yet easily reachable in just a few metros stops), this aquarium achieves a rare feat of immersive exhibits, storytelling and dare I say adrenaline. How else can you describe seeing the enormous Amazonian arapaima unclose (google these giants), coming literally face-to-face with a hoard of piranha, getting warm fuzzy feelings as sea otters cuddle each other right in front of you – or even the simple delight of finding that crafty sea-dragons camouflaged in their tanks? And don’t even get me started on their interactive zone where you can touch and compare exotic creatures, including the sand-paper flatfish, or the large 4.1 million liter ocean tank with an underwater tunnel complete with sharks and stingrays. 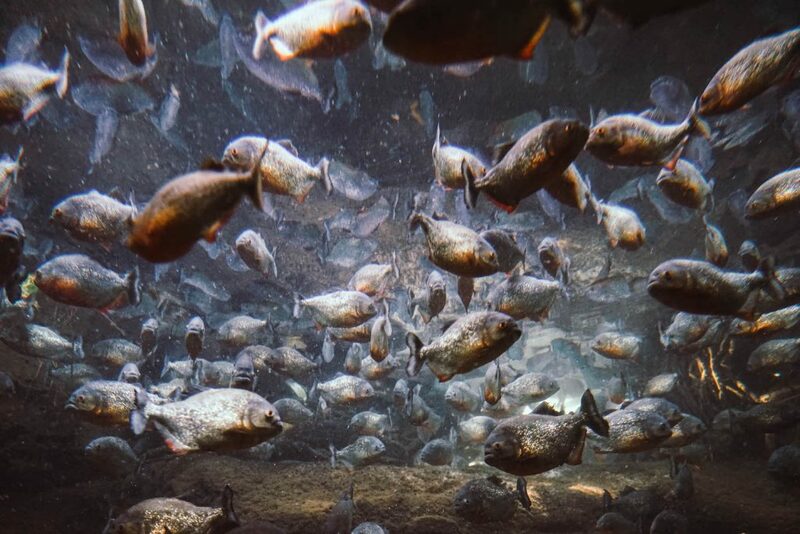 The largest aquarium in Northern Europe and an architectural landmark of the region, allow yourself a break from the historic sites of Copenhagen as you get submerged in the strange and fascinating underwater world. All included free with the Copenhagen Card of course! 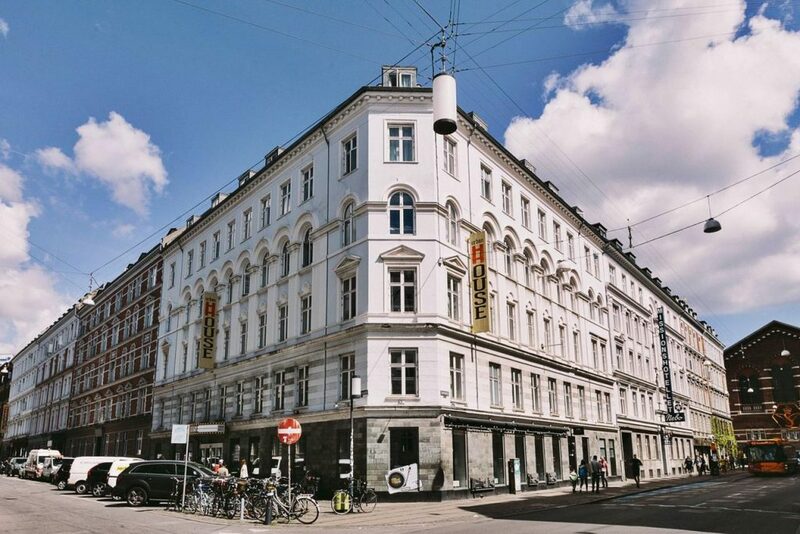 It’s no secret that Copenhagen accommodation can be relatively expensive for many travelers, especially at peak times of year – so when I was considering my options of where to stay in Copenhagen I wanted to find somewhere offering great value and service, and perhaps something slightly unique. 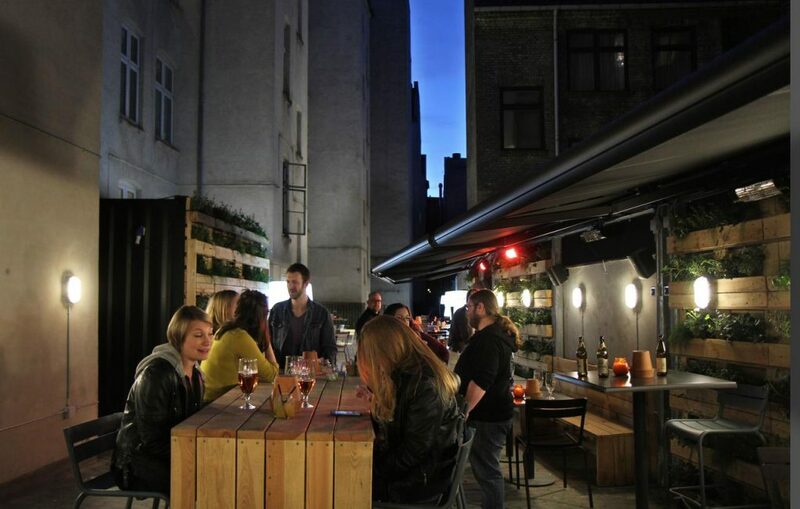 Thankfully I found the Urban House Copenhagen by MEININGER, a funky hostel/hotel hybrid set in Copenhagen’s trendy Vesterbro district and only a 2 min walk from Copenhagen Central Station. While the location can’t be beat, the appeal of Urban House Copenhagen does not stop there with a wide variety of room categories to suit all travellers: affordable single and double rooms, family rooms, small and large dorms – all of which offer clean and modern design (this is Scandinavia after all, what else would you expect!). There is an affordable and extensive breakfast buffet available to help you start your day properly every morning, or even cute to-go breakfasts if you just can’t wait to get out and explore Copenhagen – and if you are really watching your budget, there is a full kitchen! I loved the self-service check-in via email, so no time was wasted on arrive, but there are kiosks if you need them and helpful staff are always there should you have any question. From the fabulous design featuring colourful leather sofas, wooden bookshelves and graffiti-inspired pop art to the cinema room, outdoor sun terrace, laid-back bar with frequent live music and plenty of quiet spaces to relax, this is a place designed for everyone: families, backpackers, couple and business travellers who want to enjoy a bit of socialising after a long day of work or exploring. The only downside I could think of is that luggage storage requires Danish coins for use before or after check-in, but hey: you don’t get prices this affordable and accommodation this high-quality without a small trade-off. A word of warning though: The secret is out about high standards set by Urban House Copenhagen by MEININGER, so some room categories sell out weeks in advance, or months in peak season thanks to Copenhagen’s growing popularity! If this sounds like the place for you should not delay in booking! A controversial opinion I know, but the Little Mermaid statue inspired by Hans Christian Andersen’s fairy tale creation is just not going to live up to your expectations. It’s simply not possible – unless your expectation is waiting in a line for thirty minutes to get a maniac photo with her before the next tourist pushes you out of the way with their selfie stick in hand. 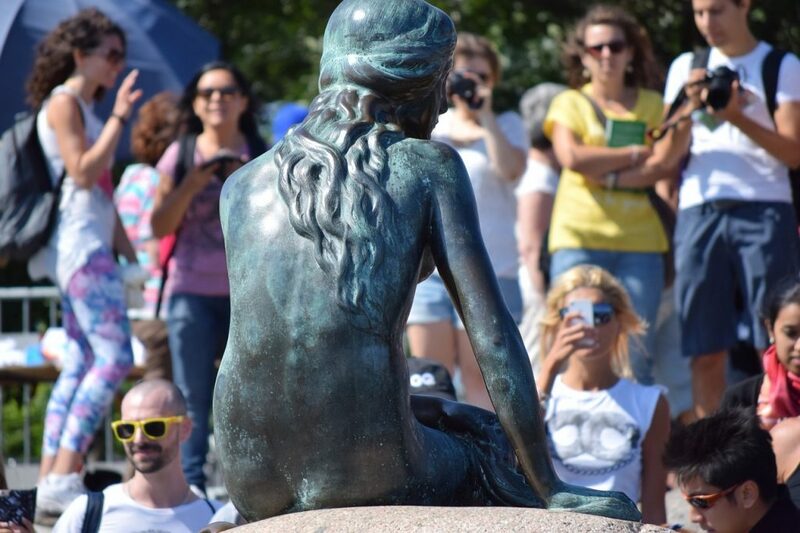 A gift from Danish brewer Carl Jacobsen to the City of Copenhagen back in 1913, no matter what I say I am certain you are going to head out either way to snap a shot of this Little Mermaid welcoming travelers to the Copenhagen harbor. I also went, after all, just to be sure I would be disappointed – but at least do not make the trip out here with no other plans. Nearby you can also discover the Kastellet fortress or the infinitely more impressive Danish Design Museum, so maybe plan to visit both at the same time. Save your hate mail, I am an avid fan of the Disney film and regularly find myself humming Under The Sea in the most awkward of places, but I will not change my opinion of what is potentially the world’s most overrated tourist attraction. There is no way I am going to claim this is the best restaurants in Copenhagen, no matter what the top food critics tell me I believe this is a very subjective term. All I am saying is that a night dining at this award-winning restaurant will be filled with plenty of surprises and from my perspective offers a perfect compliment to any trip to Copenhagen. Høst is the Danish word for harvest, so here you can expect innovative Nordic ingredients and seasonal delights to set the agenda, with a menu that is ever-changing (or so I was told by our extremely friendly and helpful server). I also became slightly obsessed with the elegant yet rustic interior design that was everything I imagined Denmark would be: Danish mid-century furniture design, raw wood accents and exposed brick walls and creating an intoxicating ambiance that encourages you to linger – or maybe that was the wine pairings! It’s not just me that thinks this however as humble Høst has won titles such as the Worlds’ Best Designed Restaurant and the World’s Most Beautiful Restaurant. If you are still not sold, dishes like grilled Norwegian Lobster with juniper pancake and pointed cabbage, raspberry sorbet with Norwegian Brown cheese and crispy caramel and Witch flounder with fried chicken skin and sauce made from fermented asparagus await… Reservations full out quite far in advance, but their website offers a straightforward booking system and doesn’t be afraid to check last minute as cancellations inevitably occur. Housed in a preserved warehouse dating to 1767, and one of Copenhagen harbor’s impressive buildings, the North Atlantic House is a recently-opened cultural center dedicated to promoting the rich cultural ride of Iceland, Greenland and the Faroe Islands – all of which are deeply connected to Denmark culturally and historically. A collaborative project between Denmark and the countries, there are three galleries, and the center also houses the Icelandic embassy and the permanent representations of Greenland and the Faroe Islands. The art here is bold, and its broad mandate allows for an array of innovative art to blossom here including film, music, dance, visual arts, and debates – frequently inspired by nature and curated to encourage visitors and help them get in touch with the true Nordic culture. And if that is not enough, there is a beautiful open-air dining space outside filled with a variety of hip dining options and beautiful views. Another included perk of the Copenhagen Card, the 17th-century tower and oldest functioning observatory in Europe, simply known as the Round Tower, is also the best place to get a magnificent 360° view of Copenhagen. And in a city as flat as Copenhagen, this can really help you get your bearings! First, however, you have to climb its unique spiral walk talk covers 209 meters (with a narrow staircase at the end) to get the 36m high viewpoint – which not might sound very high but gives is enough to get above everything else in the surrounding area! Built by King Christian IV – who you will quickly discover basically made everything famous in Copenhagen. There is also an intriguing library hall half way that has now be converted to an exhibition space for local art, history and science and an observatory is still used by amateur astronomers, but only open to the public on rare days during the summer. Other great spots to get a view in Copenhagen include The Tower at Christiansborg Palace (which is free but with crazy, long lines) and the winding Spire at Church of our Saviour (also including on the Copenhagen Card). 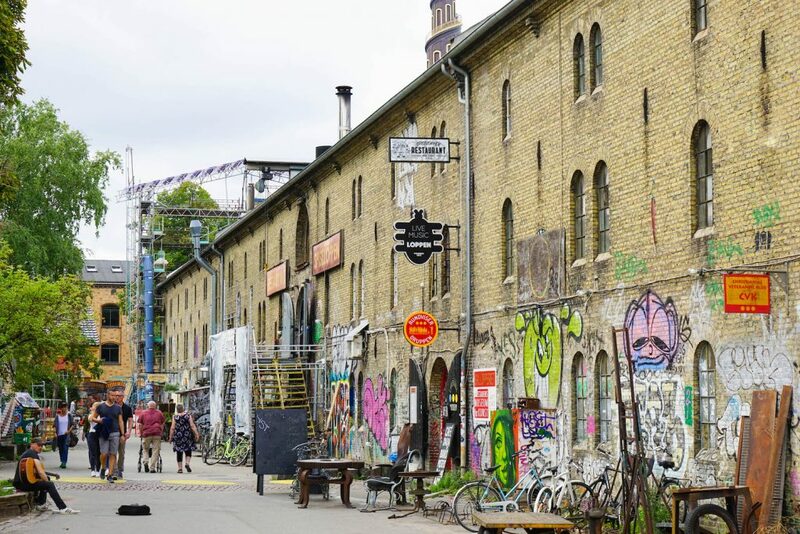 Copenhagen’s most alternative neighborhood and a society within a society, this intentional commune covering 34 hectares with around 1000 residents is probably one of Copenhagen’s weirdest attractions – and most interesting. A source of controversy ever since it was inception in a squatted military area in 1971, today things are a bit more … stable – and you will find an eclectic mix of homemade houses, colorful workshops, live music venues, organic eateries, intriguing art, and quiet nature. I don’t recommend visiting for the drugs, but to explore the intriguing concepts and community that has involved in this autonomous anarchist district in Denmark’s capital. Try time you visit for a Sunday when the atmosphere is buzzing, and Café Nemoland offers two free concerts on their open-air stage. One of Copenhagen’s culinary hot spots, this supermarket (not a supermarket) has been a long time coming, but is well worth the wait! 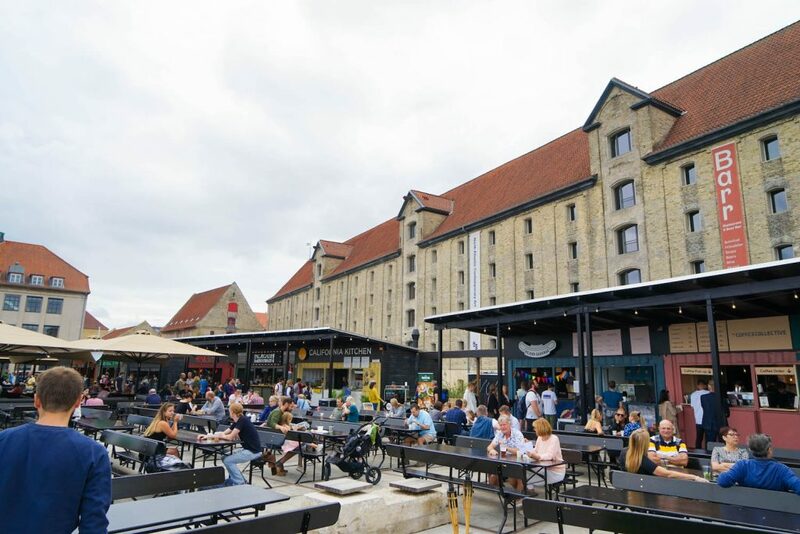 Establish in 1889 on Israel’s Square the market was closed in 1958, and it was only recently in 2011 the Copenhageners again got their city market square back – albeit in a much trendier form that embraces modern luxury, to say the least. 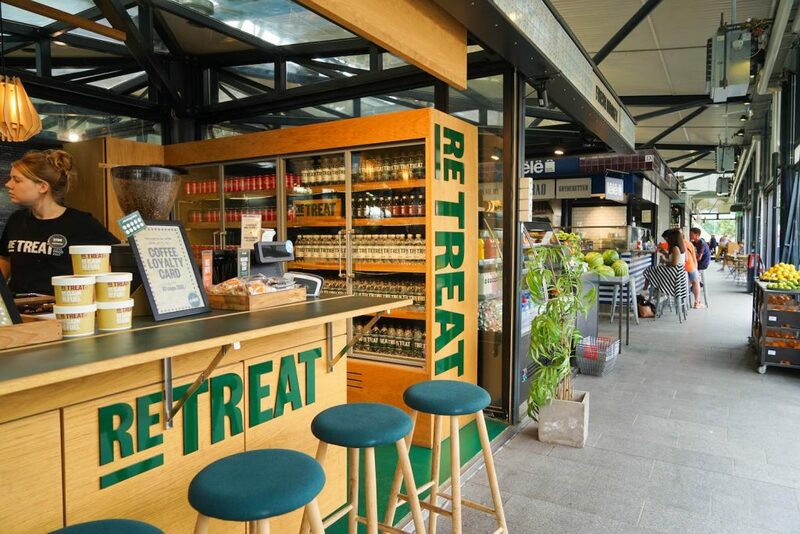 With over 60 staff offering on the best of Danish produce and cuisine, you could wander for hours grazing on delights ranging from gourmet chocolate to divine coffee, local cheese, smoothies, and inspired porridge, just to name a few! Diversity, quality, and taste are the starting point for everything here, and it shows in everything on offer. In true Danish style, the simple concept of covered market halls is transformed into so much more, a meeting place for innovative chefs, inspired ingredients and friends – there is a taste and a meal for everyone here, making the Torvehallerne Food Market the perfect place to explore with friends or fussy eaters! While there is no other equivalent to Torvehallerne Food Market in town, for those who like to browse food outside of a traditional restaurant setting you could also consider WestMarket, offering food from all over the world, the smaller Tivoli Food Hall or the uber- cool Rebel Food collection of food trucks focussing on entrepreneurship and mouth-watering creations. Yes, we are leaving Copenhagen again – but with the Copenhagen Card and Denmark’s incredible public transport, this brief excursion up the coast toHelsingør (Elsinore) is simple and easy, and entirely worth it! Occupying a strategically important headland overlooking the Sund, a narrow stretch of water between Denmark and Sweden, the Royal castle of Kronborg is not only one of the most unique places in Denmark, but also holds tremendous symbolic value to the Danish people. For many visitors, however, Kronborg Castle is more famed as the setting of Shakespeare’s Hamlet (and the even more famous ‘To be, or not to be: that is the question’ line). 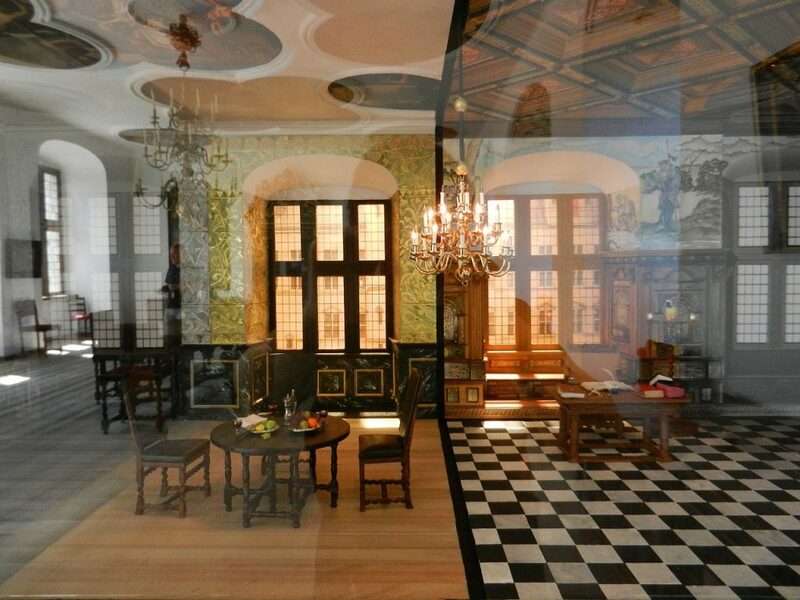 During the summer months Kronborg Castle today plays host to a troupe of actors who move through chambers, rooms, and courtyard playing out this world-renowned drama of murder, lust, and drama in a surprisingly tasteful manner. 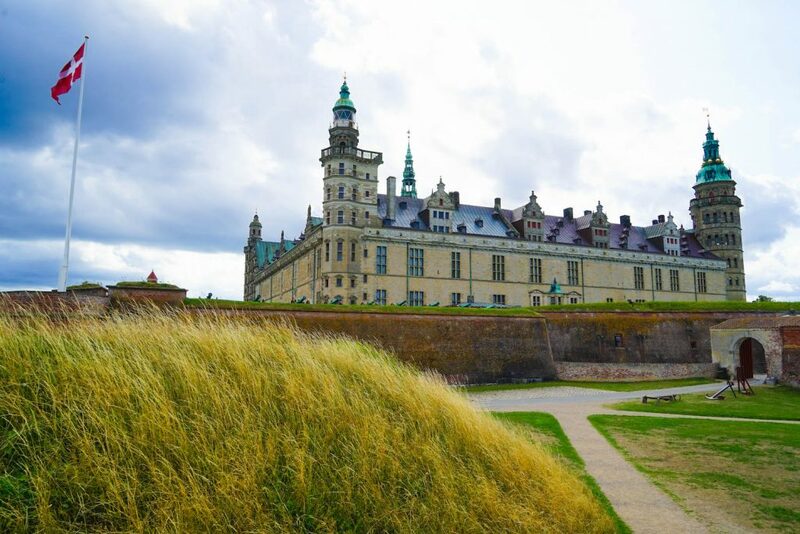 Of course, even without the Hamlet connection, you should visit Kronborg for its magnificent yet straightforward beauty as a castle complete with original spires, towers, columns, and copper roofs. 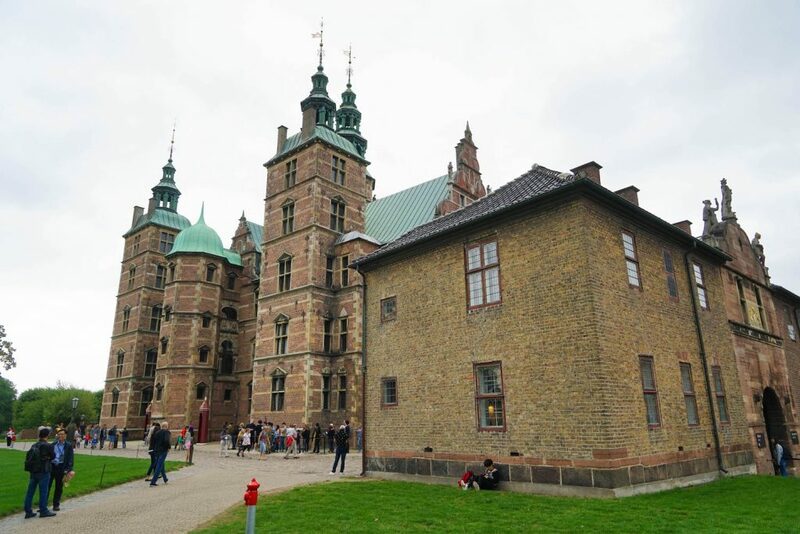 Whether you decide to visit Kronborg or not (hint: you should) on the same train line but just 22 mins out of Copenhagen at Klampenborg station you will Jægersborg Dyrehave, or just the Deer Park. Another UNESCO World Heritage site as part of the Par force hunting landscape in North Zealand, a collection of royal hunting grounds on a custom-designed landscape with ruler-straight forest roads with squares in the Baroque style. Yes, basically the monarch’s grand way of claiming his power over nature. 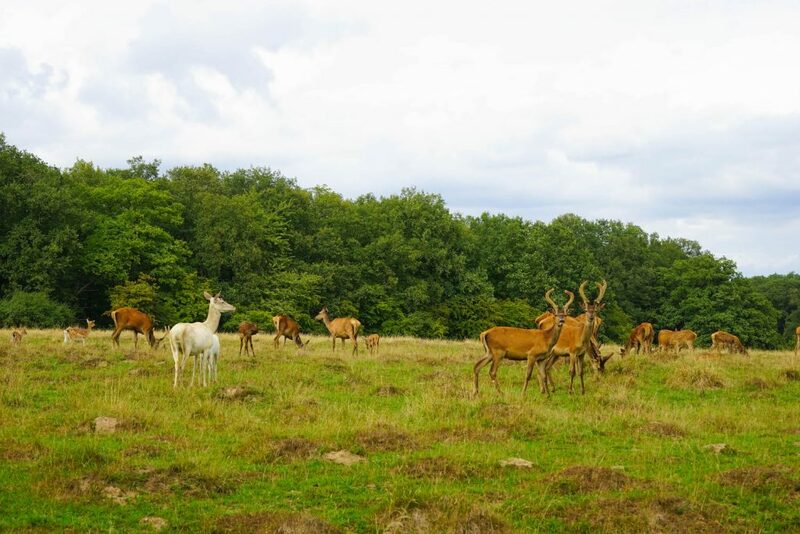 Today is Dyrehave is notable for it’s huge, ancient stands of oak trees and large populations of red and fallow deer – as well as being a popular recreations area for biking, hiking or horse riding. 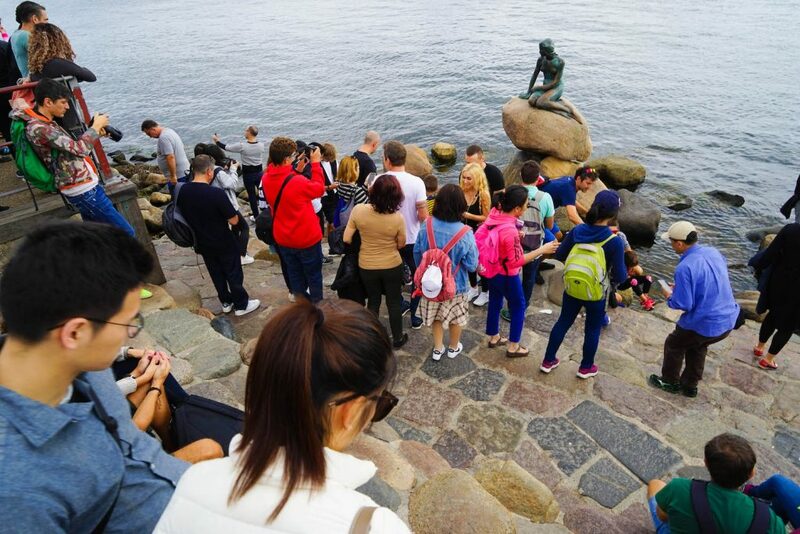 The reason it makes the list of top things to do in Copenhagen, however, is the ability to get up close with the deer, some of who might even post for a selfie if you are lucky, and much-needed escape it offers from the chaos that Copenhagen inventible presents in peak tourists season. The city is wonderful, but everyone needs an escape sometimes right! Bikes are available for hire near the front gate, or if you are feeling extra eager, you can cycle from Copenhagen city, and explore at your own pace. There are many different highlights are area but be sure not to miss the Hermitage Hunting Lodge a Baroque masterpiece built by Christian VI in 1736 to host royal banquets at Dyrehaven. If you are lucky enough to be in town on the first Sunday in November, you should also try to attend the Hubertus Hunt, an annual cross-country horse race with up to 40,000 spectators marking the end of the hunting season! No list of the best things to do in Copenhagen would be complete concerning Nyhaven, the 17th-century waterfront, canal and entertainment district once filled with alehouses, ladies of the night and dirty sailor but now filled with beautiful colored old houses covered into upscale restaurants. As you might expect you will have to face an onslaught of selfie-stick wielding tourists who would trample over their own children to get the perfect shot, and the restaurants – will nice – are not the best in the city, but don’t let this dissuade you… Nyhavn is a well-polished gem, with a lively atmosphere and plenty of fabulous people watching. True fans will want to hunt down No. 67 which was home to Hans Christian Andersen between 1845 and 1864, or No. 18, where he lived from 1871-1875 and is now home to an Andersen-themed souvenir shop. During the day, wander along the promenade and admire the colorful mansions and old historical boats, and during the evening grab your partners hand and sneak a kiss with the soft tones of jazz in the background. Utterly romantic. Unlike the disappointing Little Mermaid Statue, Nyhavn is proof that something being touristy does not mean it is not worth visiting. Technically the third Christiansborg Palace after the first two burnt down, the latest iteration of the Christiansborg Palace contains not only multiple museums for tourists enjoyment and rooms reserved for use by the Royal Family for functions – but also the Danish Parliament Folketinget, the Supreme Court, and the Ministry of State. 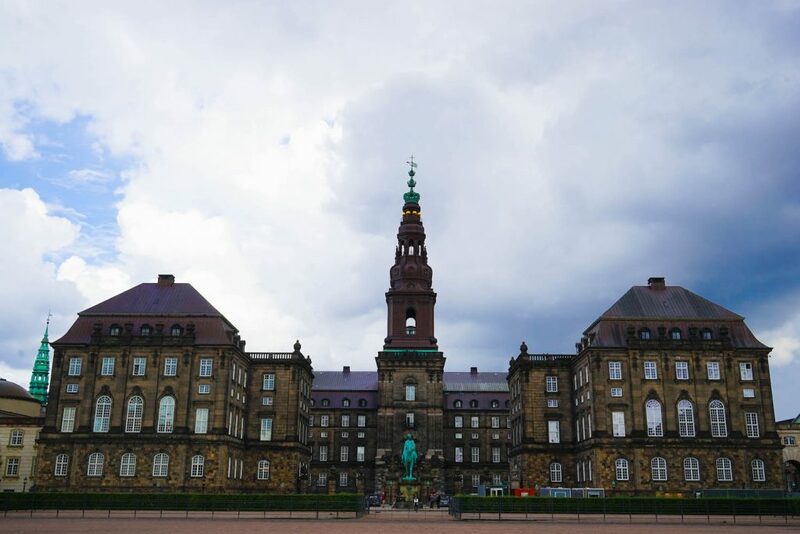 This makes Christiansborg the only building in the entire world to house all three of a country’s branches of government, with the supreme executive, legislative and judicial power based here. A bold move for a palace that has already burnt down twice I would say…The main palace today was completed in 1928 in the historicist Neo-baroque style but if you are interested the Christiansborg Palace Chapel dates to 1826 and is the neoclassical style. You can take free guided tours of the Danish Parliament every Sunday which take about 45 minutes (be sure to book online beforehand) or visit the five separate museums housed within the complex: the Royal Reception Rooms, the Theatre Museum, The Royal Kitchen, the Ruins and the Royal Stables. Yes, all are also included with the Copenhagen Card! 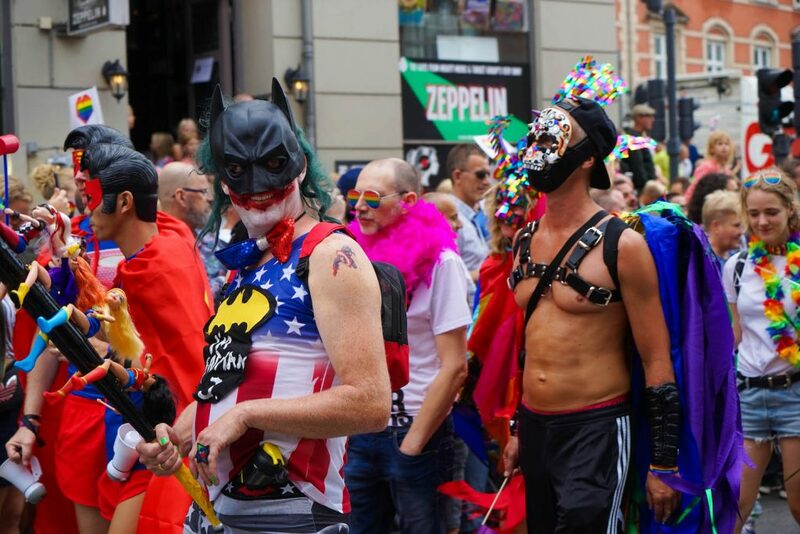 Gay, straight or unicorn – I could not in good conscience leave any list of top things to do in Copenhagen complete without a mention to Copenhagen Pride, a world-class colorful and festive occasion combining political issues with concerts, films and a parade. It is so refreshing to see a city embrace all its citizens so completely, and if you are lucky enough to visit during Pride Week in August, you will find an entire city bedazzled in more rainbows and glitter than you ever thought possible. 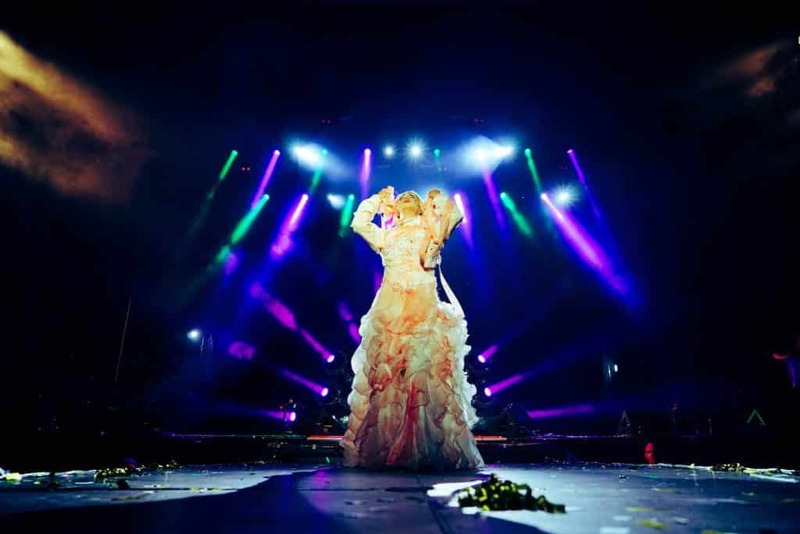 Open to all, the main square of Copenhagen outside of the town hall hosts live music, speeches, and entertainment throughout the week – including an epic Drag extravaganza which lasts for over four hours and plenty of local and international performers. Also of note are the interesting human rights discussions in various locations throughout the week. And did I mention it is all free (but please try to donate…). On Saturday the Copenhagen Pride parade takes place, and 2018 was the largest ever recorded with 180 different floats and 40,000 people taking part to celebrate diversity and promote equal rights for LGBT+ people worldwide. 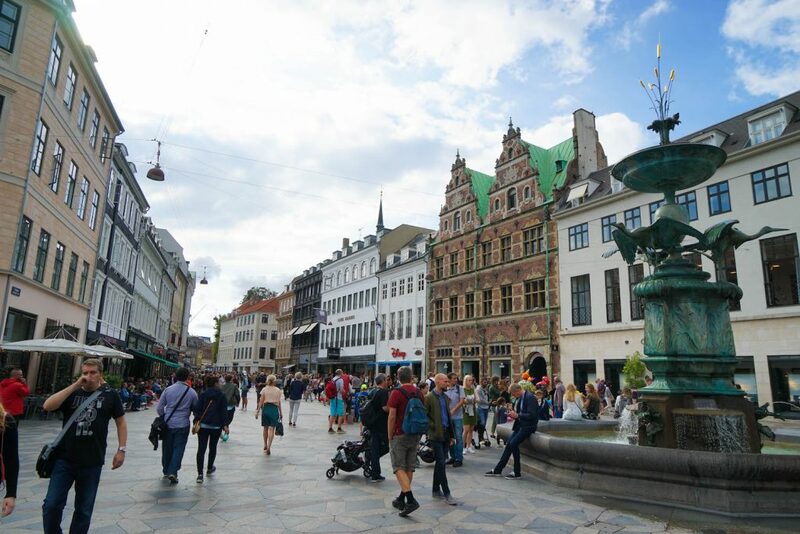 I especially loved seeing all the young children and older Danish generations out with Pride – this level of acceptance is what makes Denmark such an incredible destination to visit, and I suspect part of the reason why the Danes are often named at the happiest people on Earth. 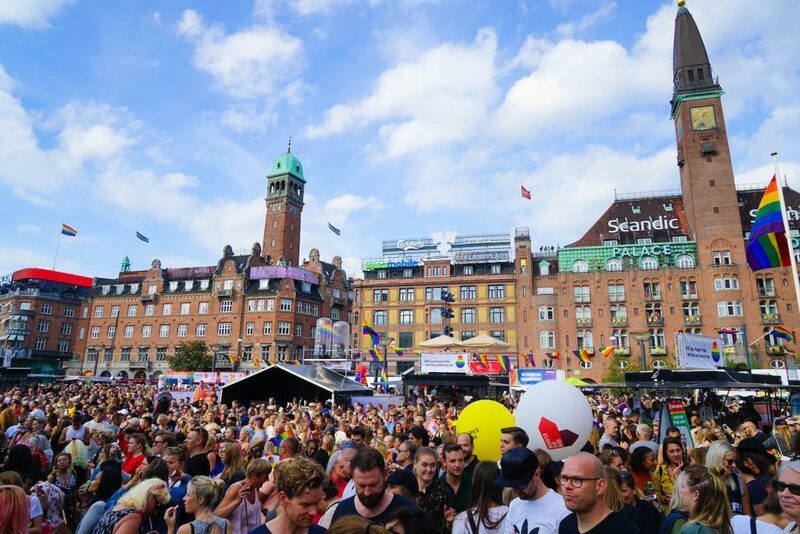 Even if you are not visiting Copenhagen during Pride Week, there are other annual events to look out for including the Copenhagen Winter Pride Week in February, the Pride Christmas In December or the Folkemøde – The people’s Political Festival in June. 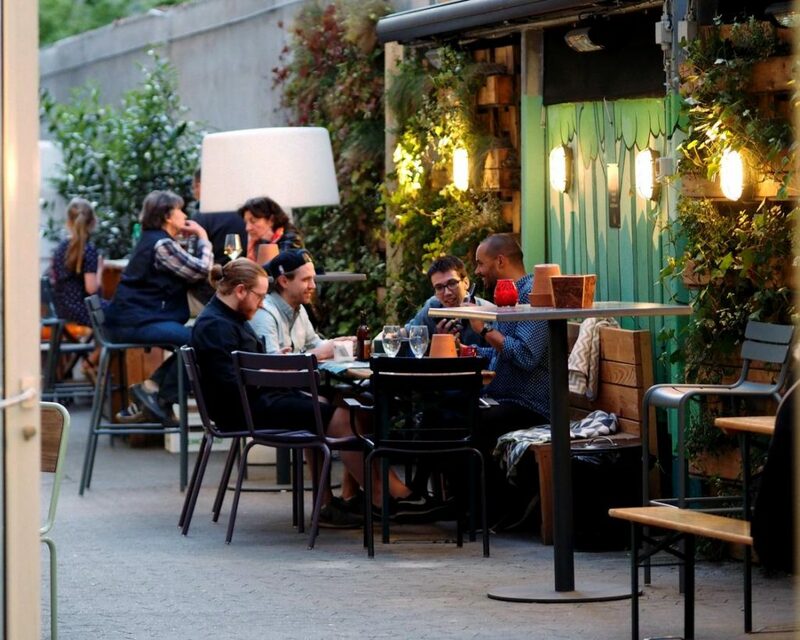 Failing that, just take a wander down Studiestræde and the surrounding streets, home to the majority of the cities gay bars and plenty of cool thrift shops and LGBT+popular cafes during the day. 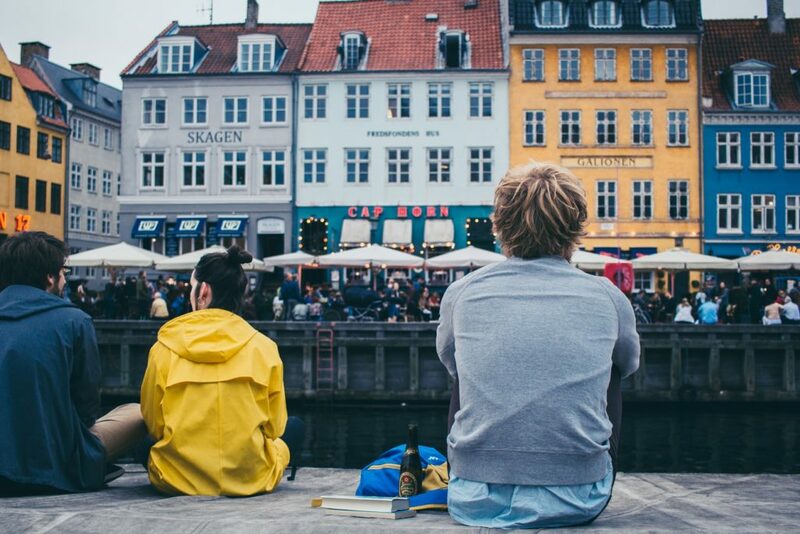 If you are curious, you can read more about the Copenhagen gay scene here. You only live once right? 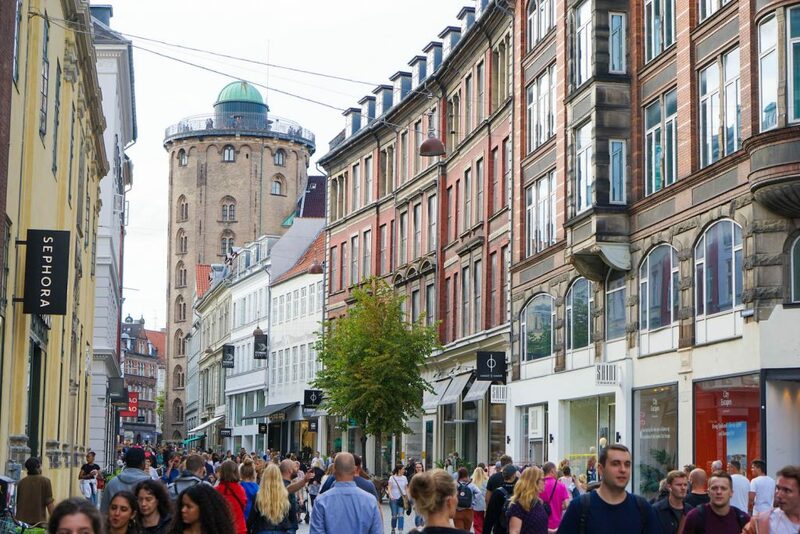 So don’t miss the opportunity to explore the excellent array of shopping streets and stores available in Copenhagen. Sure, you can find all the big name brand here like H&M, Zara, Prada, etc. – but you want Danish design, right? Well, luckily you can find this in spades anywhere in the city, which every neighborhood having it own special shops and vibes. Danish fashion is fast gathering an international reputation as cool, effortlessly chic and wearable, but there are also countless vintage and second-hand shops, flea markets, department stores or (dare I mention) Danish design shops to tempt you. While I could decimate an entire article to merely shopping in Copenhagen, I will just give you my favorite spots: try Strøget for one of Europe’s longest pedestrian streets and mainstream brands, Jægersborggade for hip art galleries, vintage fashion, incredible coffee, and an underground wine bar or Loppemarked i Bella, Copenhagen’s biggest flea market (click here for dates). But really, half the fun is finding your own favorite quirky store right? So don’t be afraid to get lost and explore a little! 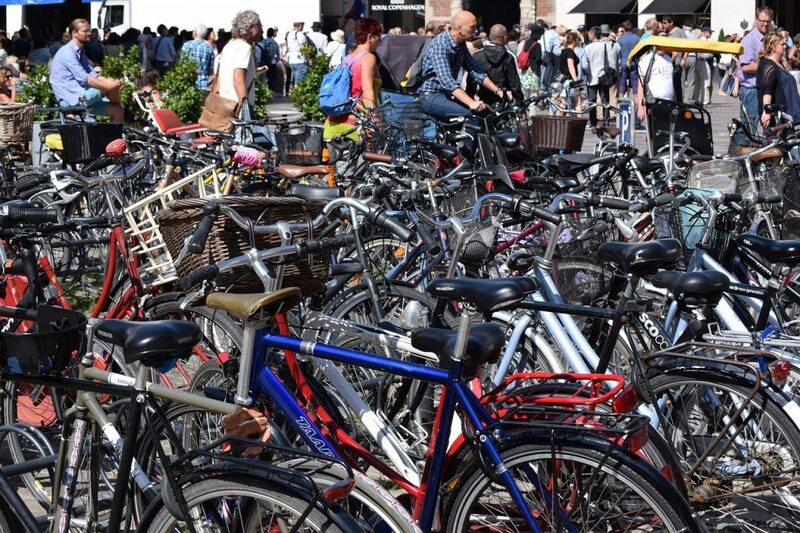 You thought the Dutch were obsessed with biking – then you haven’t yet experience Copenhagen, ranked the worlds top cycling city in the world for the past years in a row. With over 375 kilometers of dedicated bike paths in the city alone, its no wonder bikes far outnumber cars in the central city and your biggest fear with quickly become getting taken out by a cyclist as you step out of the kerb without looking the right way (this might just be the kiwi in me…). Cycling in Copenhagen is a fast, convenient and fun way to explore this city and bikes can easily be hired – just download the Donkey Bike hire app to rent and drop off bikes anywhere around the city. 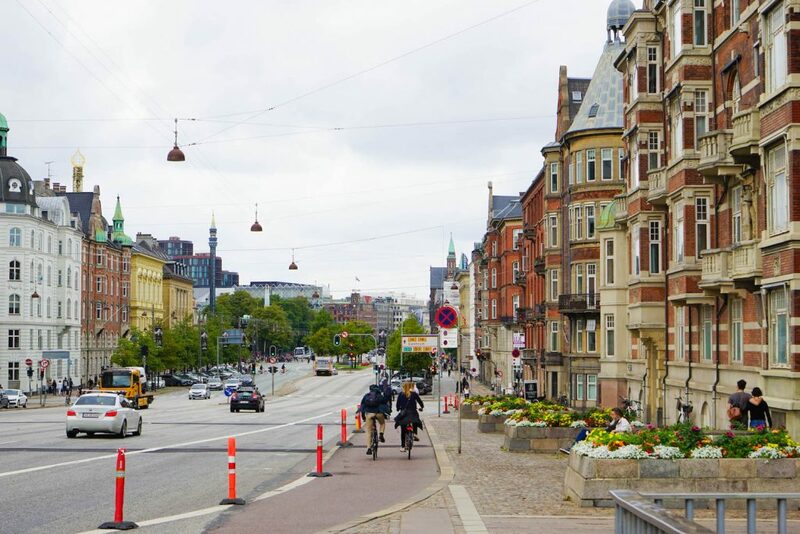 Another option is to take a bike tour around the city, like the fabulous food+bike tour offered by Foods of Copenhagen – which might be a better option of the initiated and slightly nervous! 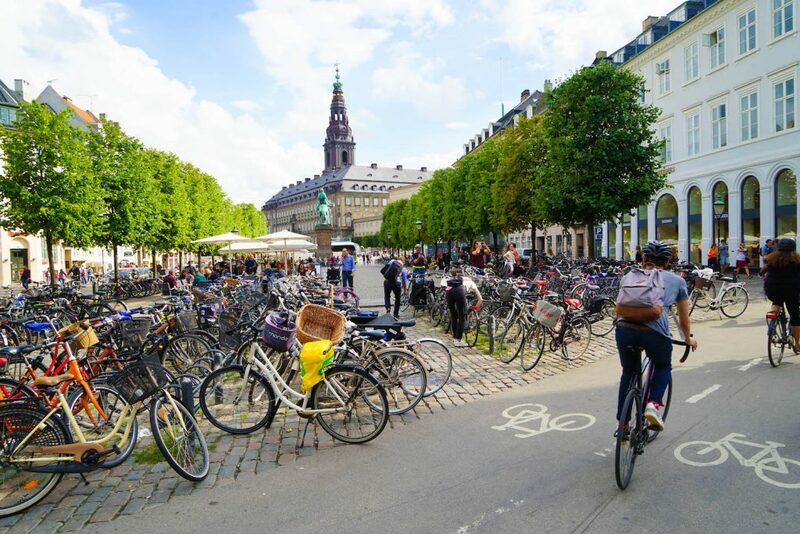 Either way, Copenhagen is made for cycling, with bicycle routes on practically every street and can you really say you have experience Copenhagen if you haven’t seen it by sweeping through the city on a super-cycle highway! 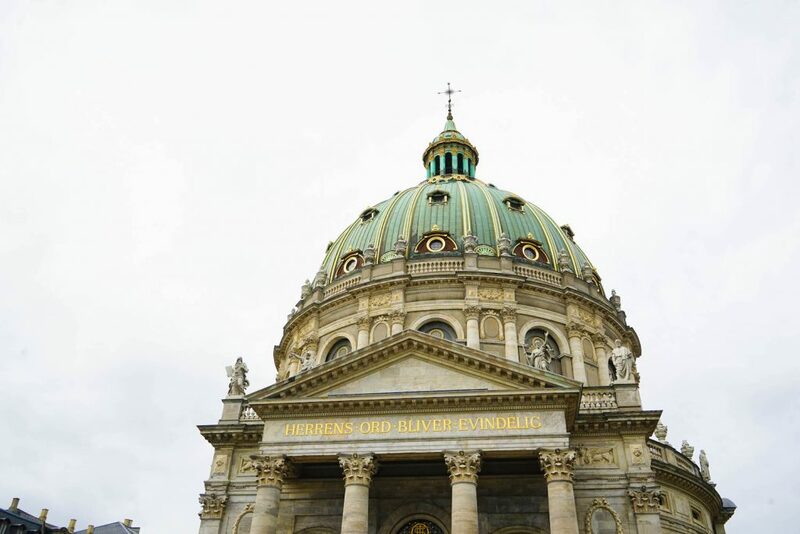 Also popularly known as the Marble Church, Frederik’s Church is an extraordinary rococo church, the largest church dome in Scandinavia and the towering focal point of the Frederiksstaden district. Inspired by the St. Peter’s Basilica in Rome, this impressive masterpiece with its iconic copper green dome is actually an Evangelical Lutheran church which took almost 150 years from its groundbreaking in 1979 to finally complete in 1894 – thanks to budget cuts and the death of its architect. If you time your visit correctly there is a magnificent view from the top of the dome, which can only be visited at 1 pm daily during summer at 1 pm on weekends during the rest of the year – but expect long lines. Otherwise just pop in at any other time to admire it’s dome interior and stained glass window…or as a peaceful spot to relax for a moment from sightseeing while garnering divine inspiration for your next move! Denmark has no shortage of castles and palaces, but the Rosenborg Castle stands out for not as another example of Christian IV’s many architectural projects and Flemish Renaissance style but for the artifacts held within the showcase royal Danish culture from the late 16th to 19th century. Now state property and opened to the public way back in 1838, the Crown Jewels of Denmark are on display here, as well as the Crown Regalia, coronation carpet and throne chair of Denmark. 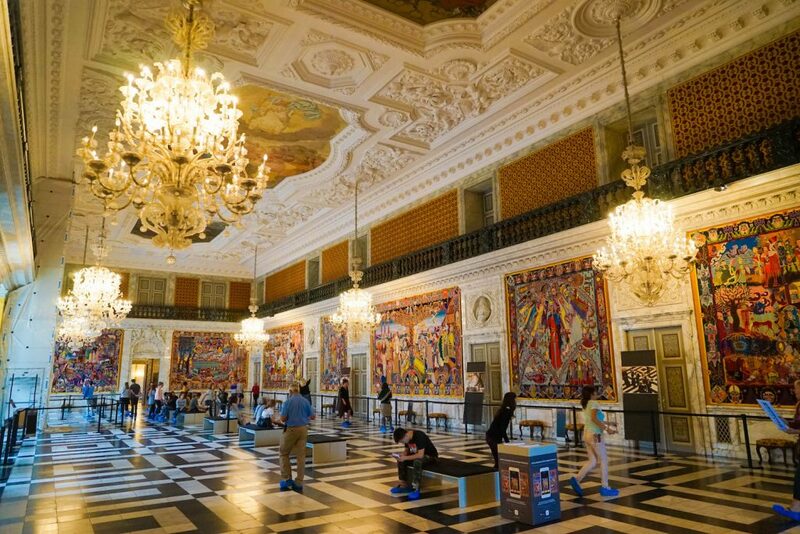 There are also 12 tapestries commemorating Danish King’s victories in the Scanian War (1675–1679) which adorn the walls. Entrance is included with the Copenhagen Card, but otherwise, entry to the gardens is free, which are the oldest royal gardens in the country, and many Copenhageners come to relax and unwind here in the summer months. 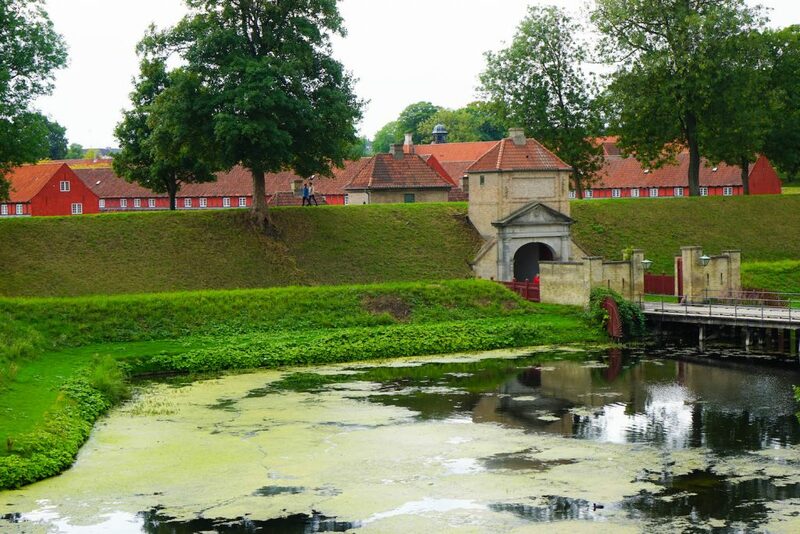 The Kastellet (Citadel) was founded in 1626 and is now separates inner Copenhagen from the outlying area of Østerbro. Still under active military use and hosting a range of barracks and offices, the public can enjoy free access to much of the area, and many locals enjoy leisurely walks – or intense runs – along with the green rampart walls. Located close to the Little Mermaid, the Kastellet makes an infinitely more interesting visit with a changing of the guard ceremony every day at 12.00 and frequent afternoon military concerted in the afternoon. I’d just recommend taking a picnic at sunset and enjoying the gorgeous views and tranquil green lungs so close to the city. There is a severe lack of green spaces in the old city center so relaxing at Kastellet is often exactly what the doctor ordered. 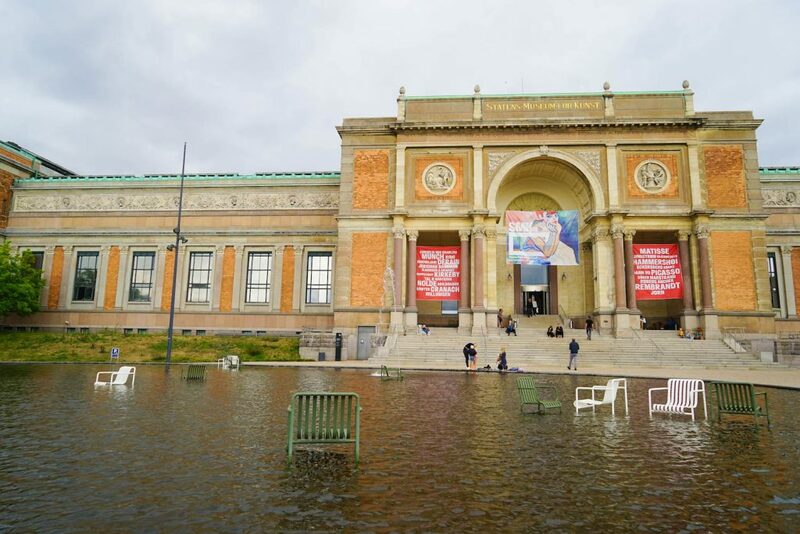 Denmarks largest museum is the perfect place to spend a rainy day exploring seven cuties of Danish and international art, ranging from grandmasters to contemporary delights and wishing stars. If you are an art connoisseur or take delight in gazing upon gems by Rubens, Matisse, Munch, Derain and more – and I know this is not for everyone – you need to make sure you don’t miss a visit. Alternatively, entrance is included on the Copenhagen Card, the National Gallery of Denmark also plays host to a range of performances, art talks, concerts and royal collections so if you are not sure if you will enjoy it, you should still pop in – it’s just next door to the Rosenborg Castle! A whole day or just a few minutes, I won’t judge but time seems to melt away as you are overwhelmed by the extravagance collection of Danish Golden Age art – and one of the world’s finest Matisse collections. If you are tired of walking – or biking – everywhere, why not see the city from a different perspective as you sashay through the city’s scenic canals and harbor waters soaking up the breath-taking views of many of Copenhagen’s top attractions! Copenhagen is an old harbor and maritime city after all. 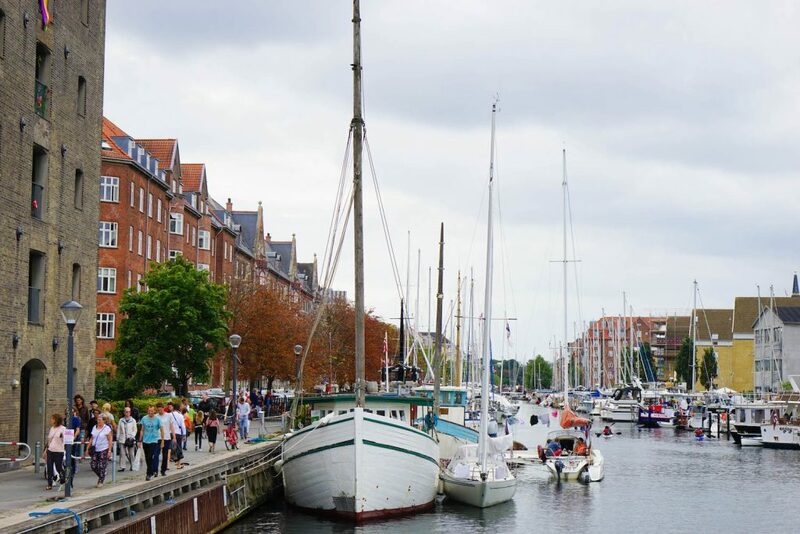 If you are short on time, a Copenhagen Canal cruise is an easy way to see a lot and get all the interesting tales about the cities history – not to mention a romantic way to spend an hour or more. 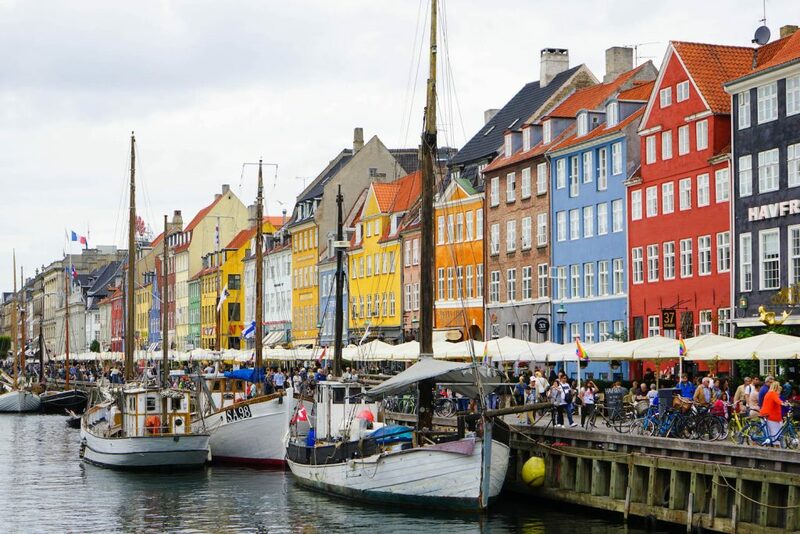 If you have opted for the Copenhagen Card, the striking blue Nettobådene cruises are included, but more adventurous travelers can also try boat, kayak or even gondola rentals. Copenhagen is what you make of it after all!